So on the night of 31 October 1963, after passengers had had their tomato soup and shed some tears over impossible firetrucks, the Cubana de Aviación Bristol Britannia took off from Gander to complete the last leg of its long intercontinental journey. My father and I slept, but my mother spent the night imagining the dangers that lay ahead. More than half a century later, comforted by the soft light of my laptop, I can imagine the dark ocean, invisible and fearsome, over which we flew… It was All Saints Day, when we finally landed in Madrid, a cold and gray city virtually shut down on account of the religious holiday. With the help of an acquaintance that we miraculously ran into at Barajas, we made it to calle Jacometrezo, where the International Rescue Committee was headquartered. They gave us some pesetas, and we, newly minted political refugees, went to the pensión on plaza de la Marina Española where we would live for several months. The next day was All Souls Day, the first full day of our lives as exiles in Franco’s Spain, a nation far more Christian — far less modern — that its former colony in the Caribbean. It was also not a rich country, and we were less rich than most everyone else — but that sad tale of an icy room and garbanzos everyday for lunch is, for now, another story. My parents had never set foot outside of Cuba, yet they belonged to families whose members had crossed the Atlantic many times. My mother’s paternal grandfather was born in Barcelona, and one of her maternal great-grandfathers hailed from Oviedo — not to mention the tribes of Cuban Gauls and their multiple ports of call. The most recent of those European migrants was María Montoro Céspedes, my paternal grandmother. She was born in Marbella, back then a small Andalusian town from which, on clear days, one could see the coast of Africa. Her father, an artist, migrated to Cuba with his three young daughters sometime in the early twentieth century in search of new seascapes to paint. Indeed, Maruja (as she was known) proudly displayed many of her father’s marinas in her house in Santiago de Cuba. 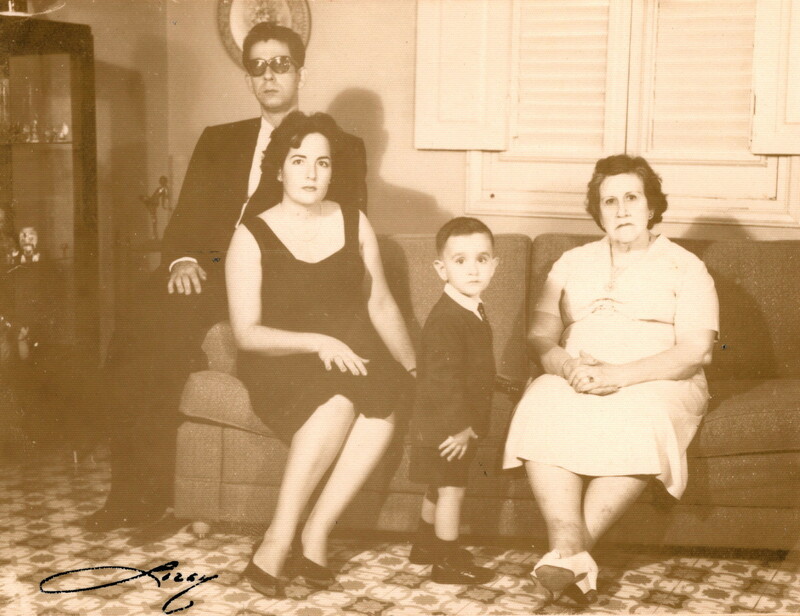 Here is a picture of Maruja taken in 1962, in the elaborate living room of that house, not quite surrounded by the soon-to-be migrants. Her last years — she died in 1965 — must have been difficult and lonely. Her husband, a magistrate, had died over a decade ago, and her other son besides my father, a doctor in Havana, had also passed away prematurely. His three children, my cousins, remained in the faraway capital with their mother, while Maruja’s own two sisters lived in Pinar del Río, as far from Oriente as one could go without leaving Cuba. I’m told she loved her tchotchkes — she was a bit of a hoarder — and her garden. A sensitive soul, she used to take long baths that started well before sunset and ended after night had fallen, as she found the twilight to be overly melancholy. Maruja never returned to Spain, the country where her son, daughter-in-law and grandson were now political refugees, desperately wanting to return to their old New World. Such stable characters, those migrants like María Montoro who bravely traversed the ocean yet stayed put in one place! 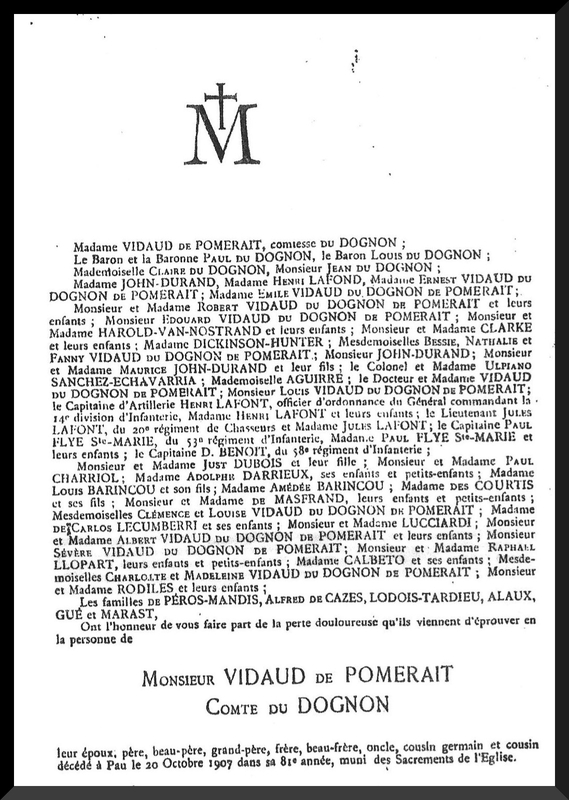 By contrast, my second great-granduncle, Pierre Vidaud du Dognon de Pomerait, also known just as Pierre Vidaud de Pomerait and described in various documents as a “négociant français,” was a shipowner, it seems, who lived in Santiago de Cuba and Bordeaux and appears to have spent much of his life happily on board a merchant vessel. No one in my immediate family has told me anything about him, but his digital afterlife — unlike that of Maruja, nonexistent until now — allows one to construct a rich and venturesome biography. 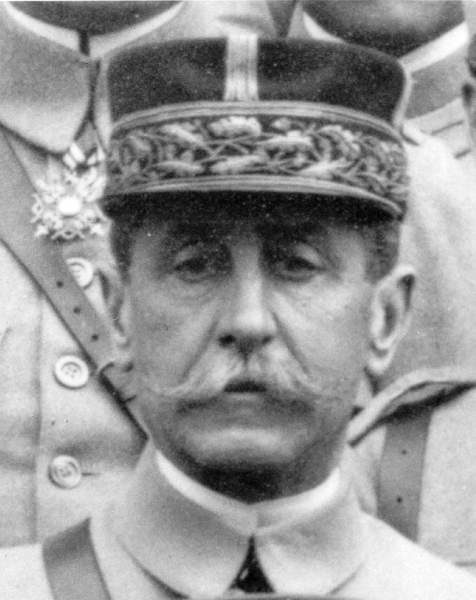 He was the oldest son of Pierre Vidaud du Dognon, No. 10 in Vallantin Dulac’s genealogy, who had been born at the Château de la Dourville in 1767 and migrated to Saint-Domingue with four of his brothers during the Reign of Terror. Like his brother François Vidaud du Dognon No. 11, the priest, Pierre No. 10 eventually returned to France. He had six children, and at least two of them had children of their own — two rich and strong branches whose many leafy twigs, now branches of their own, keep blooming in France and the Americas. In Port-au-Prince, Pierre No. 10 married Marie Henriette Petit, a native of that city. The wedding took place on 22 nivôse VII (though I’m sure it didn’t snow that day in the Caribbean). 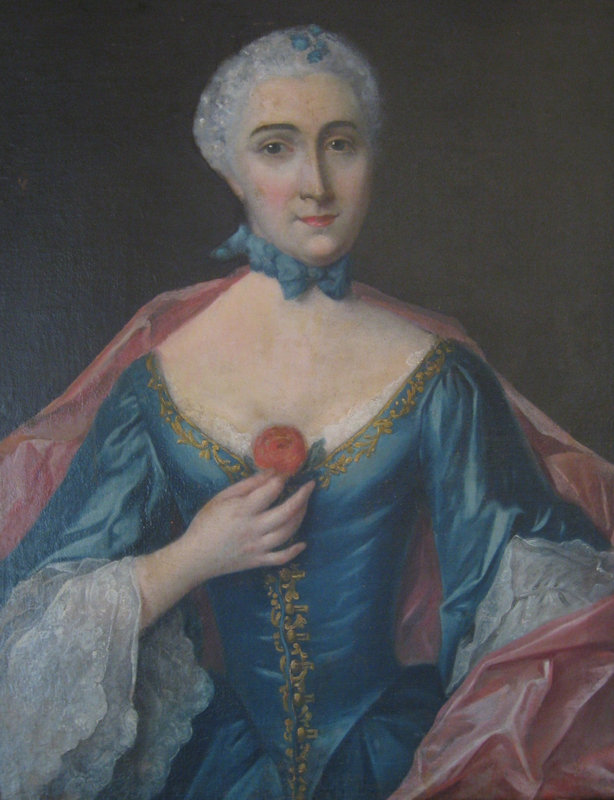 Pierre returned to France with his wife sometime before 1805, the year when Luce Eugénie Vidaud du Dognon de Pomerait, their second child, was born. He lived until 1839 and his widow until 1854. The French Revolution must have been a real trial for Pierre, but whatever may have been lost appears to have been recovered. Both husband and wife died at the Château de Laurenzane, in Gradignan, near Bordeaux. How they ended up in that distinguished dwelling is a mystery to me, but it is interesting to read about the place’s “activités viticoles” and learn that a greenhouse designed by Gustave Eiffel was built in the premises. Our Pierre, the French man of commerce, was born in Port-au-Prince, like his mother, in 1802. His five sisters were born in France, and it is altogether plausible to assume that he spent his childhood in those places where his parents appear to have settled: Aubeville, Pommeret, and Angoulême. But by his early twenties he is back in Saint-Domingue, where, Vallantin Dulac tells us, he married Anne-Joséphine Tardy, the daughter of Anne-Julienne-Aimée Gué and her first husband, Julien Tardy. Why Pierre returned to the Caribbean is yet another mystery. How Anne-Joséphine, born in Santiago de Cuba around 1800, also ended up in Saint-Domingue, which her mother appears to have fled after the murder of her own father, the architect Jean-Baptiste Gué — that too is a mystery. In any event, the young couple would not stay put for long. 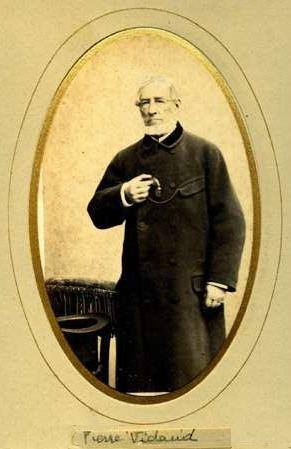 Their first child — Pierre Paul, who would later become the comte Vidaud du Dognon de Pomerait, was born in Bordeaux in 1826. But their second and third children were born in Santiago de Cuba, and the fourth in Gradignan; the rest of their nine children were all born in Cuba. One of them, Étienne, migrated to Brooklyn. Most of them eventually settled in France, including Marie Anne Méloë, who married an American and, like Étienne, moved to the United States. 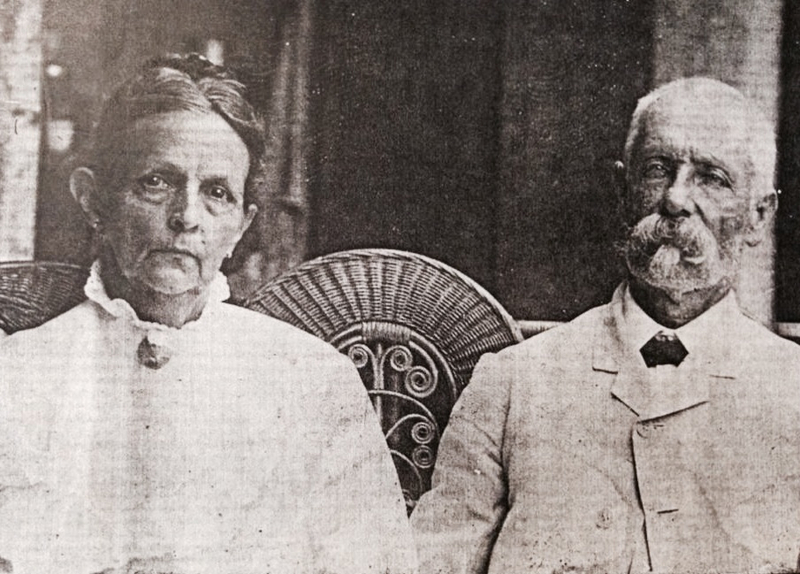 Only one child, Émile, was married in Santiago de Cuba and appears to have remained on the island for good. One of my cousins in Miami has combed the superb digital records of the French Consulate in Santiago de Cuba and found several apparitions of our Pierre. His florid signature is inscribed as that of a witness on various birth and death certificates. Stendhal would famously recommend reading “une page du Code civil chaque jour, avant de commencer à écrire, pour obtenir le degré de sécheresse convenable et se prémunir contre les fausses élégances du beau style romantique” — yet I find much that is inherently romantic in the truly elegant, if dry, pages of those records of the État civil I have read. Consider, for instance, this brief phrase on a birth certificate, following Pierre’s name: “négociant Français, établi à Santiago de Cuba, qui a dit avoir assisté aux derniers moments du défunt”… But my favorite record, seen here, is the birth certificate of Henriette Jeanne Vidaud de Pomerait, Pierre and Anne Joséphine’s fifth child, which I transcribe: “Acte de naissance de Henriette Jeanne, née le dix sept octobre mil huit cent trente quatre, à une heure du matin, fille de Pierre Videau de Pomerait fils, négociant demeurant ci devant à Bordeaux, Département de la Gironde, et de Dame Anne Joséphine Tardy, sa légitime Épouse”… It reads like a little novel in the making — a birth in the middle of the night, a father’s former residence in a city an ocean away, a mother’s legitimate status… And lest there could be any doubt, this: “Le Sexe de l’Enfant a été reconnu être féminin.” Vallantin Dulac tells us Henriette married one Émile Schmitt and would die childless — a twig’s end — in Pau. No year is given for her death. 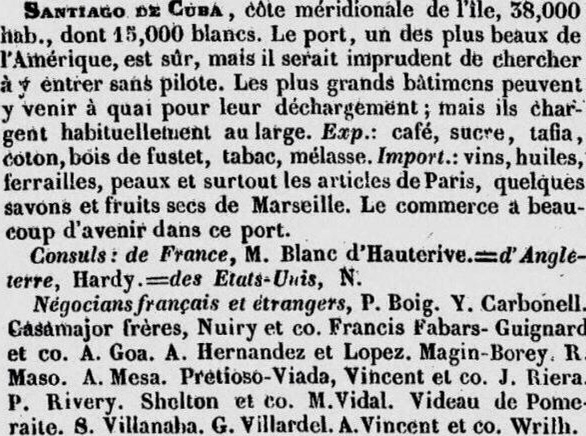 Around the time of Henriette’s birth, the Almanach du Commerce de Paris, des Départemens de la France et des Principales Villes du Monde, which my cousin has also found online, describes the port of Santiago de Cuba as one of the most beautiful in the Americas, making it clear that its white population is a minority, and listing several “négocians français et étrangers” in the city, including “Videau de Pomeraite.” But that’s not all. In recent times, our Pierre has reappeared in historiographical works about the French community of Santiago de Cuba. 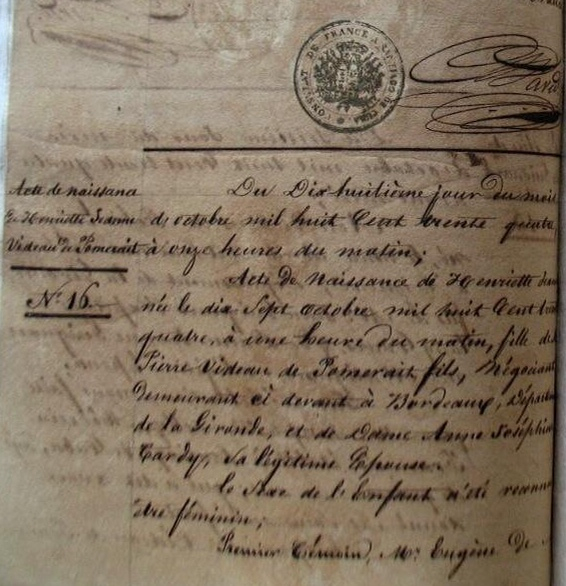 A passport of his, issued in Bordeaux in 1825, is discussed in Paul Butel’s “Relations commerciales entre la France et Cuba sous la Restauration: l’example de Bordeaux,” while Agnès Renault, a historian at the Université du Havre, devotes a long footnote to him in D’une île rebelle à une île fidèle: les Français de Santiago de Cuba (1791-1825). Renault’s note is particularly vexing, for some information therein appears to contradict what we think we know of François Vidaud du Dognon de Boischadaigne, No. 7, our direct ancestor and Pierre’s uncle, so I will return to it in due time. In any event, as my cousin puts it, these are all “small traces” of Pierre, yet they allow us to imagine who he must have been. But who was he really, this merchant — this, dare I say it, patriarch? What was he like? Although I have no personal memories of María Montoro Céspedes, stories of Maruja are still relatively abundant, and one can have a glimpse of her soul (if such a thing exists) from those narrative capsules about a childhood in Marbella and the melancholy sunsets of Santiago de Cuba. But digital Pierre remains virtually unfathomable. Yet he was a contemporary of Balzac, and one may perhaps be allowed to indulge, at least briefly, in the novelist’s art of physiognomy to build a picture of the man’s character. Pierre Vidaud de Pomerait, you were born in Port-au-Prince, went to live in France as a child, returned to the Caribbean as a young man, married a lady of French descent also born in those parts, had nine children, witnessed several births and deaths, owned ships, crossed the Atlantic many times, achieved what appears to be a measure of prosperity, and then you died in the city of Bordeaux in 1872. Pierre Vidaud de Pomerait, your coat looks so nice and warm, your top hat is most elegant, and your cane — well, sometimes a cane is just a cane. And now, Pierre, your face, your face, that window to your soul. Pierre Vidaud de Pomerait, your face denotes seriousness, solidity, solemnity, but in truth, Pierre, there is only silence. I’m afraid I cannot read you, Pierre, that I can only hope for some letters, perhaps a journal hidden somewhere recounting the reasons why, at some point in your life, you must have cried. Through those inscribed pages, if they exist, we may perhaps begin really to reach you. And even then, I suspect you will remain nothing but an elusive ghost staring at the blue or gray or black waves in the middle of the ocean.